Thank you so much for coming to read my twin birth story. I wrote this post when my twins were only one week old. I found so much comfort reading twin birth stories when I was pregnant and nervous, so I wanted to share mine. I’ve updated this post with new information, namely a list of my favorite must-have items for new twin moms at the bottom of this post after the birth story. 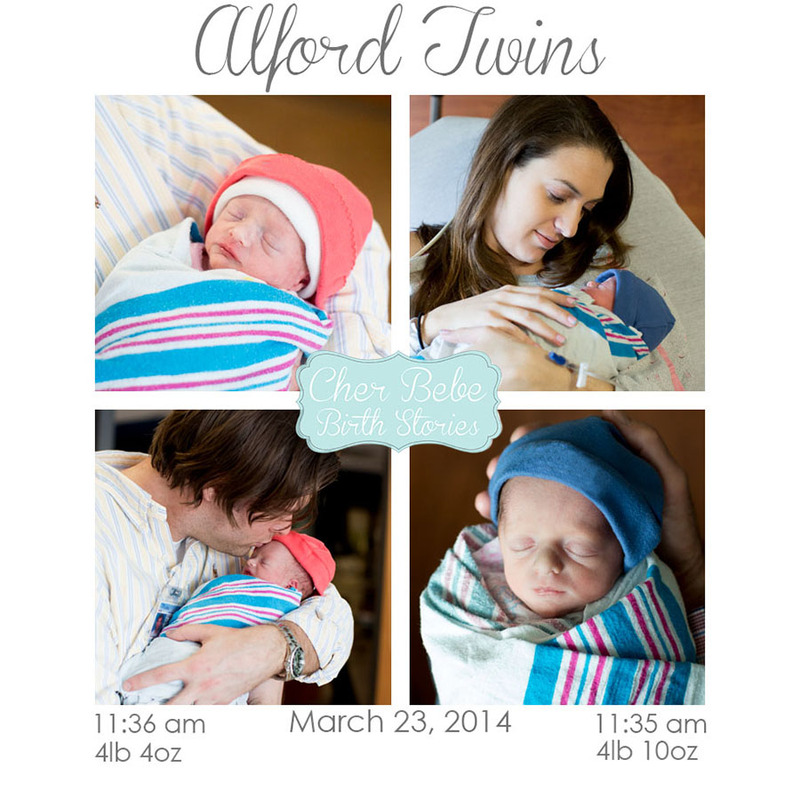 My twins are now 4.5 years old, happy, thriving, and so funny – especially together. I hope that by sharing my twin birth story, it brings you comfort and hope that even if things don’t go according to plan, you can still bring two beautiful new babies into the world who will grow, thrive, and most importantly, have a strong bond with each other. My twins are a week old today, and my life has changed forever. The love I have for my kids is so powerful, so overwhelming that it’s hard to believe the last week has been real. I hope you don’t mind me taking a step away from writing about finance to share their story. The twins’ story really began two weeks ago. The hubs just finished taking a big exam, and we went to get one of our last ultrasounds with our high risk doctor. Throughout the pregnancy, we saw my regular OB and a high risk OB due to the multiple birth, and both physicians were amazing. Our babies have been perfect at every ultrasound the whole pregnancy (all 20+ of them). However, during our appointment two weeks ago, the ultrasound showed that they were getting growth restricted, i.e. they were running out of room. Ironically, if you read my piece for the Huffington Post, you’ll know that this is something I was worried about the whole time. At the end of the ultrasound, the doctor said he wanted to talk to us, and I knew that meant something was up. We went to a little conference room, and he printed out all the charts of their growth that he’s been tracking since we started seeing him in November. Their growth chart was nice and linear from the past few months, but at this ultrasound, the twins had gone from the 40th percentile in size to down below the 10th percentile in a matter of weeks. Our doctor said he didn’t want to take any more risks, and he didn’t want them to drop below the 5th percentile. So, with that information, we went to our next appointment with my regular OB. She checked me out, called the high risk OB, and together we all decided that one week from that appointment we would do a scheduled c-section on March 28. 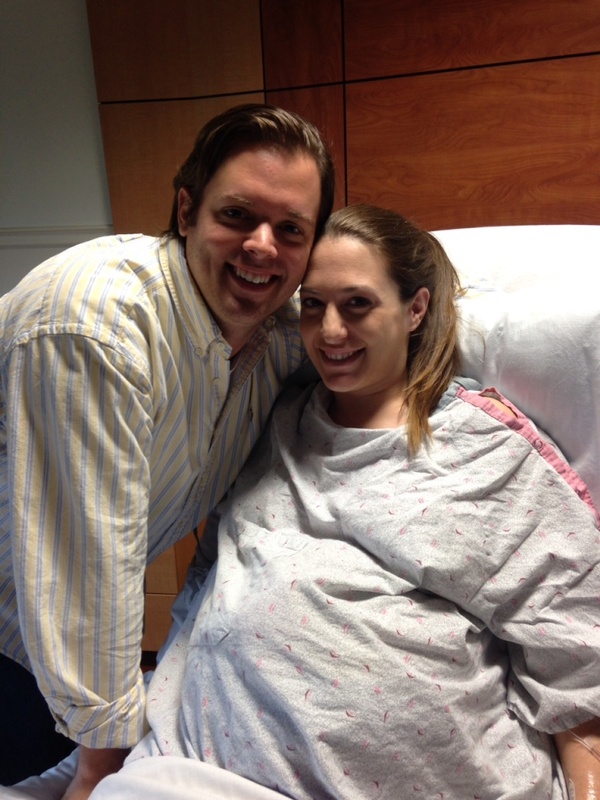 I’d known for a few weeks that I’d likely have to get a c section since our little boy – Baby A – was breech. Some doctors will deliver twins naturally if Baby B is breech but not if Baby A is. So, I knew that going into it. Honestly, it was pretty exciting and surreal knowing we’d be parents in one week. We called our families and told them, we got busy cleaning, I tried to write several extra blog posts, and the hubs and I went on a few dates to celebrate our last days of it being just us. 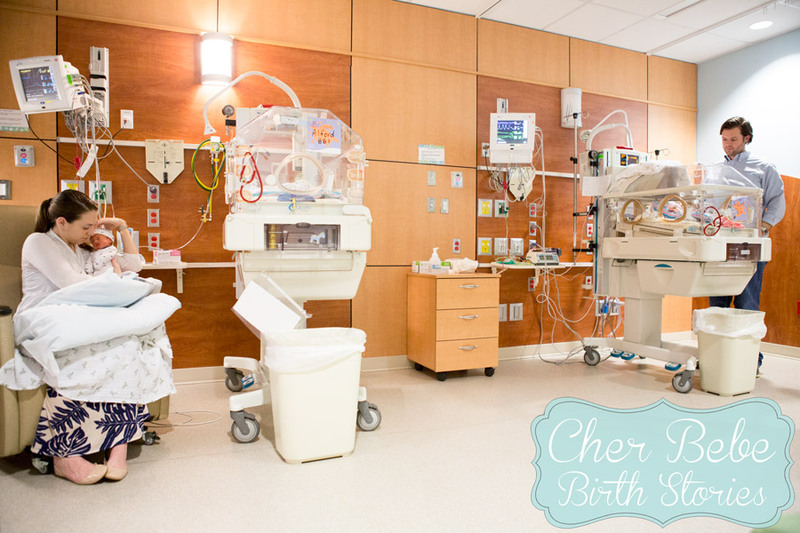 I was a little nervous about the birth, not about the surgery but about the babies’ health. Even though I knew I’d be 36 weeks on the day of their delivery, I also knew they were only about 4 pounds each at their last ultrasound, which could pose some problems. Of course, babies have minds of their own and ignore things like due dates and planned c-sections. Three days after that appointment on Sunday morning, I woke up and began my ritual of counting kicks. Close friends of my family started the Count the Kicks campaign which brings awareness to late term still birth and helps prevent it from occurring. So, I had been extremely focused on the babies movements for weeks, always counting their kicks throughout the day. So, I counted my little girl’s kicks, but I could not feel my little boy moving. It wasn’t like him, and I immediately felt uneasy. I tried everything from switching sides and trying to be patient, but after a few minutes went by without him moving, I shot out of bed, woke the hubs up, and grabbed the doppler we had at home. Hubs checked and found that each baby had a heartbeat. He used his stethoscope in addition to the doppler and timed the heartbeats just to make sure we didn’t catch one baby twice. Still, baby boy wasn’t moving. He loved the sound of the doppler when he was in the womb. Every time I put it on my belly, he squirmed around a lot, and so by then I was really concerned because he did not react to it at all. I tried one last thing and got in a warm bath. Again, I was very used to and aware of their movements by then. In the tub, the right side of my belly with baby girl wiggled and moved as always but still nothing from baby boy. I got out of the tub quickly and called an on call nurse, who instructed me to eat something and see if anything changed. By that time, I wasn’t planning on waiting anymore, so I grabbed a pop tart and packed the car with the hospital bag, etc. On the way to the hospital, I felt movement very low in my belly but couldn’t tell who it came from so we just kept on driving. I called my doctor and let her know I was heading in. She was luckily already there making rounds, and thirty minutes later I was all hooked up at the hospital. Sure enough, I was in labor and having contractions every 7 minutes, although I was hardly noticing them because I was so focused on the lack of movement. Apparently decreased movement can be a sign of labor and so it was good that I went in. It didn’t take long for my doctor to say we would be having the babies within the hour. The best thing I ever did was talk to my friend Lauren the day before about her c section, which she had at the same hospital a few weeks prior. She spoke to me for an hour on the phone the day before and walked me through every step of the process, including small details like how long I’d be separated from the hubs and all the grody aftermath of recovery. I’m so glad I called her because I was 100% calm and prepared. The epidural wasn’t bad, and the mood in the OR was very happy and cheerful. We talked about Cane’s sauce (a local fast food joint) and the plane that went missing. Again, I was pretty prepared and focused and knew every step thanks to talking to my friend the day before. Hubs came in, and it seemed like everything started a little bit fast. I didn’t get nervous at all until my doctor was about to cut. I told hubs that I was a little scared, and he just said everything would be fine. I couldn’t have done it without him. He did not make much noise, but I didn’t panic because my doctor kept telling me how beautiful and perfect he was. One minute later, my daughter came out wailing, and everyone said how feisty she was. The hubs went to go be with both of them, and while my doctor sewed me up, the NICU doctor came to talk to me and said both kids looked great. She said my daughter was going to be on the borderline of having to go into the NICU, but she’d let me know once she weighed her. Sure enough, my daughter at 4 pounds 4 ounces had to go to the NICU, but they did let me hold both twins together after I was all sewn up before taking her back. They handed me my son, who was 4 pounds 10 ounces, and I was able to wheel out of the OR with him in my arms. Even now, I’m just so grateful I had my son in my arms. It would have been really, really sad to see my family afterwards waiting for me and not have any babies to show them. Everyone got to hold him and pass him around, and I can honestly say that the entire experience was just perfect. I had no regrets, except of course wishing I could have had them both with me after delivery. At first, having one kid with us in the room and one kid in the NICU was really hard. I couldn’t get down to the other floor easily to see my daughter, and I felt like I got tons of bonding time with my son and not enough with her. The hubs and I were split up for most of the first few days with him staying with my daughter and me staying with our son. Still, I felt like I was contributing because I just kept sending down the milk that I was pumping to my daughter and went to see her every second I could. Even though it was hard, I’m glad she got the care she needed. Perhaps the most difficult day of the last week was when my son pulled a sneaky trick. We were completely discharged from the hospital after staying there for four nights. We signed all the paperwork, said we were taking our son home, snipped his hospital bracelets off, etc. I was really confused and said no we were taking him home and then she said no, he’s coming here. I started to get upset because I was so confused and then about two seconds later, a doctor came in and said that our son’s temperature dropped to 93 while he was in the nursery, and he was now in a twin room in the NICU. They wanted to move our daughter in the same room. I started crying and the nurse felt horribly because she thought I knew he was coming, and it was all just a big mess. It happened so fast, literally in a matter of minutes. One second, I thought I was putting him in the car and the the next second both my kids were in the NICU. They had to completely readmit our son because he was basically checked out of the hospital already. I have to say, though, that even though the initial shock of having them both in the NICU was really emotionally draining, our son is smarter than all of us. Having one baby home and one in the NICU would have been harder than having them on different hospital floors like they were their first few days of life. I wasn’t sure how we were going to do it, and I was pretty stressed about it all. However, now that they are both in the NICU together in the same room – and in a private room at that – we’ve been able to really bond and talk to both of them. We’ve been coming up here every day together, and spending the whole day as a new little family. The NICU nurses have taught us how to check their temps, get them on a schedule, and change diapers really fast. We’ve had amazing nurses, and we actually feel more ready to be parents now than we did a few days ago. As of right now, we’re definitely tired but we are emotionally very full and happy despite the less than ideal circumstances. I’m getting up a few times at night because I’m pumping milk for both of them around the clock, but the hubs and I seriously cannot wait to wake up every morning to come see them. They are our whole life, and we’re just overwhelmed with what it feels like to be parents. We’re so in love with these two little beans, and we can’t wait to get them home. We think in about two weeks we’ll have both of them with us. We’re so grateful for their health and that they are just here until they grow a little bit bigger. We really appreciate all the kind words and e-mails and messages that everyone has been sending us, and we promise that we’re reading all of them, even though it might be a little while before we get back to you! This one has a pocket for snacks. What more could you want? Congratulations. My first thought before I read the post was that your son looks exactly like you too! I am also very impressed you are writing and so coherent. Wishes that those kiddos bulk up quickly so you can all go home. What an incredible story. Thanks so much for sharing, Cat. I’m so glad things are going well and hope your little munchkins will be on their way home in no time. Congratulations you guys! Sending all the positive and healthy vibes to your babies. Aww congrats! What an amazing story. They are so adorable! Congrats again Cat! They’re beautiful and so glad you, hubby and babies are doing great! Congratulations that you now have those two adorable little ones out here in the world. I have heard multiples recover faster with skin to skin contact with their siblings, so hopefully having them both there will make it a much shorter stay in the NICU. xoxoxoxoxoxoxoox thanks for sharing, love. I hope they come home soon and start waking you up throughout the night like they’re supposed to! Awww, I hope they get to come home with you guys soon! I LOVE that you took a break from your “normal” postings and shared your birth story. It’s funny because I did not want to know any woman’s birth story before I had my child because I had such a fear of childbirth, but after I had my son, all I wanted to do is hear birth stories. Your children are absolutely beautiful and good for you for being so in tune with your body to know that something was going on. 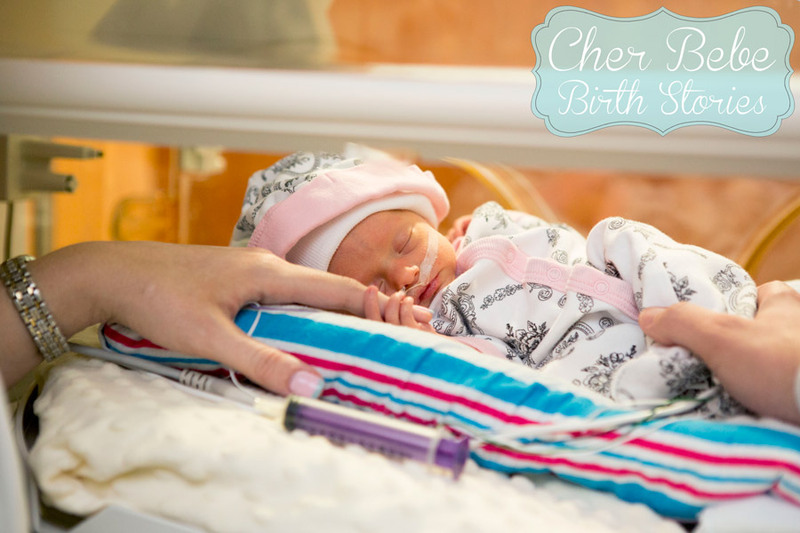 I know that you want those precious angels home soon, but at least you know they are safe and well cared for by the NICU nurses until they are ready to come home with you. Thank you so much for sharing this!! Such a sweet story. I am so happy for both of you. Congratulations on your two little angels. Can’t wait to see them. Sara will let me know when y’all get settled. God bless your little family. Love y’all! Congratulations! So glad both babies are healthy and you are well. Your pictures brought me to tears… Babies have that effect! I tell my girls all the time that when they were born I grew a whole other heart to hold the love I have for each of them. That is how it felt. It’s hard to know the kind of love you are capable of! Wow, they are both so gorgeous and that was an amazing story. I think it’s great that you’ve been able to bond with both babies right after the birth (even though I”m sure it’s stressful having them at the hospital). Good luck on bringing them home and enjoy every second of it! Good story, thanks. We just hit 35 weeks with our twins, so this info is helpful. So happy for you Cat. 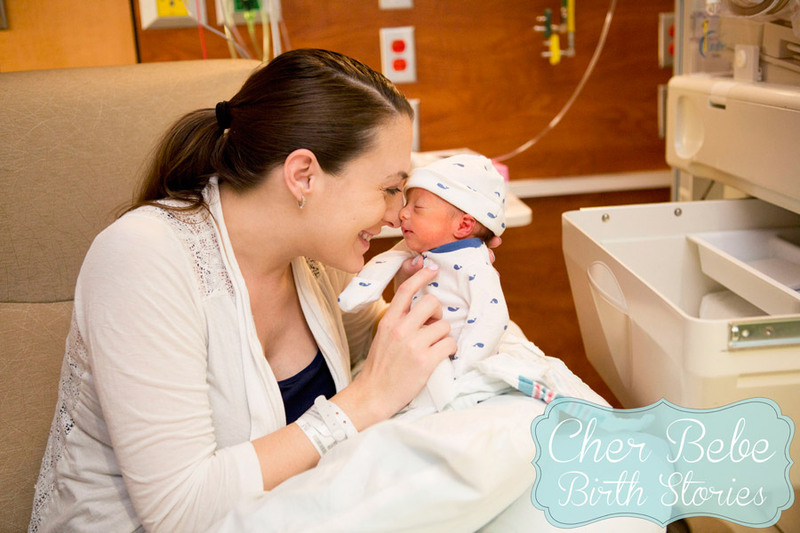 Thank you for sharing your birth story. Such beautiful pictures of a beautiful family. So happy for you Cat! Here’s to many joys ahead for your family. God bless! Those are some really nice pics! Definitely nice to have something like that to look back on down the road. Congrats again! That is so wonderful!!! Congrats! I’m so happy that everyone is healthy! So happy everyone is well. Treasure those little gems. You’re so funny with his “little trick” – hahah. They sound precious. I’m so happy for you. And a boy and a girl all at once – it’s just perfect. Congrats to you and your hubs!! I’m so happy for you guys and glad that you are all safe, happy, and healthy. I loved reading your birth story, thanks for sharing it! Congratulations and thank you for sharing your story!! What cuties! You and hubs are looking great in those photos, by the way, all happy and radiant. I would be in need of a shower, haggard and pale! Congratulations again! I never knew the power of birth stores until I became a mom, but now that I am, I really enjoyed reading yours! Thank you also for sharing all of the pictures! Hooray!!! So cute!!! Life is good!!! What an amazing and beautiful story!! Congrats to both of you, your twins are so adorable and I hope they are able to come home with you soon!! Blessings to your new family! Thanks for the update, Cat! I’ve been thinking about you and the babies! They are so beautiful, just like their Mommy and Daddy! Babies definitely have a mind of their own and it sounds like they are getting excellent care. I have no doubt they will be home with you very soon. Keep us posted (and keep those baby pictures coming!) and take care. Thanks so much for sharing your story, Cat! I love that you’re so open with this. I have no idea what having kids will be like, so I treasure your first hand account. Congratulations on your new family! Congratulations! I hope you will all be home soon! Congratulations to all four of you! Hopefully you can take them home super soon. Congratulations! Thank you for sharing your story. What an incredible journey you’re on! I love your beautiful story! Congratulations! You are a beautiful mom and you have beautiful babies! Thank you for sharing your story! Congrats to you and your family! Congratulations!!! NICU nurses really are amazing. 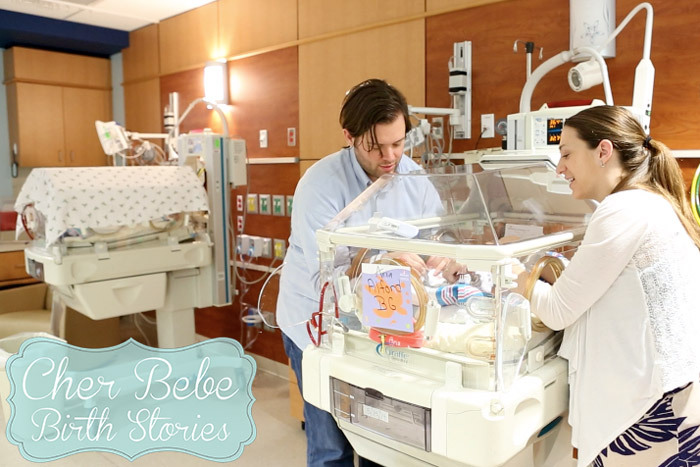 It takes a specially talented person to care for NICU babies — and their families! Hey Heather!! Ahh glad you know how I felt! I’m sure you look absolutely gorgeous. It’s tough to get back to how things were for me too! Hey Heather!! Wow how cool that our stories are so similar! Our babies are so close in age – I’m going to e-mail you!